Scrivener is a wonderful program many writers use to set up and manage their books, screenplays, and research projects. Nearly every aspect of the program can be customizable, from the drafting settings to the export format. But with so many options, many authors find themselves overwhelmed. To that end, we’re posting a blog series on our favorite features of Scrivener. 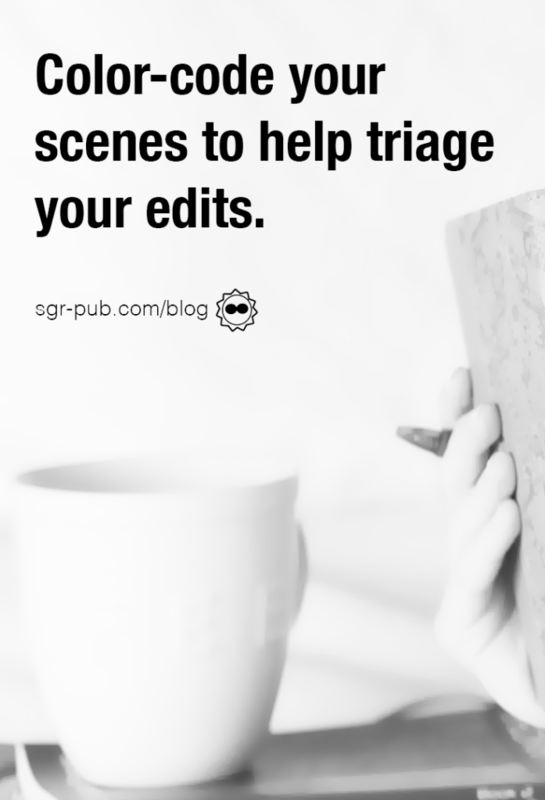 Today, we’re going to talk about our best tips for editing in Scrivener. We’ll say it up front: Scrivener’s editing integrations aren’t the best. Most of the rest of the world uses Microsoft Word or Google Docs, where it’s easy to accept changes in your manuscript. Scrivener doesn’t allow you to do that, so for some, the editing process has to take place somewhere else. 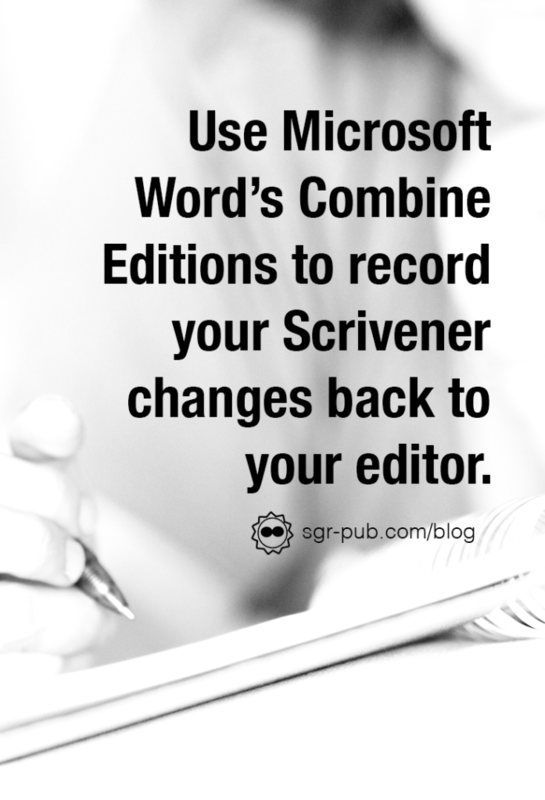 A not-Scrivener work around is to use Microsoft Word to combine documents. First, export your new draft from Scrivener. Then, take the original document from your editor and use Microsoft Word’s Combine Editions. Your edits will appear in the combined document as Tracked Changes. It’s not the prettiest workaround, but it does work. Check out more on the blog today. When you’re on the other side of it–getting edits that need incorporation, we usually do a side-by-side screen, with our edit comments on the right and Scrivener on the left. Then we go line by line and get it all in. There are a few different features we use most often when editing. When we edit a book, we like to export the draft to an eReader and add comments there. Then we take the comments back to the manuscript and triage them. 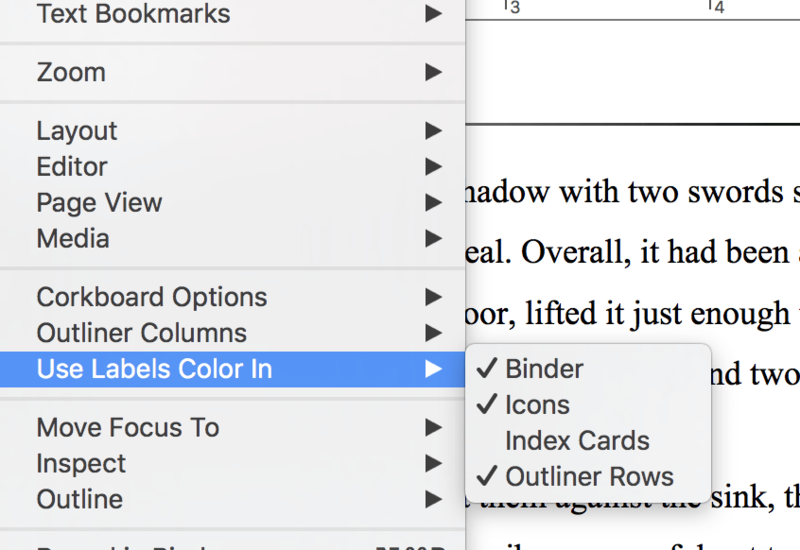 With Scrivener’s comment color options, we can set a system. Blue comments, for example are small edits like word choice. Red comments are scenes which require a lot of heavy lifting. We can then look across the manuscript and knock out edits in a systematic way. Scrivener also allows you to attach custom labels to scenes, and color code those labels. Under the View menu, you can set the label color in the binder and outliner rows. By selecting “Binder,” you can color code each of your scenes or chapters. We like to use this more in the drafting process, where, again, we can triage. Red scenes need work, yellow scenes need some review, green ones are ready. It then becomes a game to change everything to green.